THIS SECTION IS INTENDED FOR YOU TO MAKE YOUR OWN INFORMED DECISIONS AND IN NO WAY CAN BE CONSIDERED COMPREHENSIVE AS THE DISHONEST SOURCES ARE CONSTANTLY CHANGING THEIR TACTICS AND OFFERINGS. WE DO NOT OFFER ADVICE, OPINION OR VALUE ON FOSSILS OR ARTIFACTS FROM ANY OTHER SELLER OR SOURCE OTHER THAN OUR OWN MATERIAL. IT IS BEST TO CONSULT YOUR LOCAL MUSEUM, STATE GEOLOGY DEPARTMENT OR UNIVERSITY PROFESSIONAL FOR SECOND OPINIONS. Whether a fossil or artifact you purchased is fake, substantially altered or wrongly identified, the end result is usually the same - you did not get what you paid for. Today's marketplace is fraught with landmines and it requires a highly knowledgeable supplier to navigate through it all. Ask any scientist or museum curator and they will tell you how fakes have become such a problem in today's world. It is of utmost importance for dealers (and collectors, too), to know if a fossil or artifact has been faked or substantially altered to affect its value. Proper identification is also critical and may have a MATERIAL effect on the value. 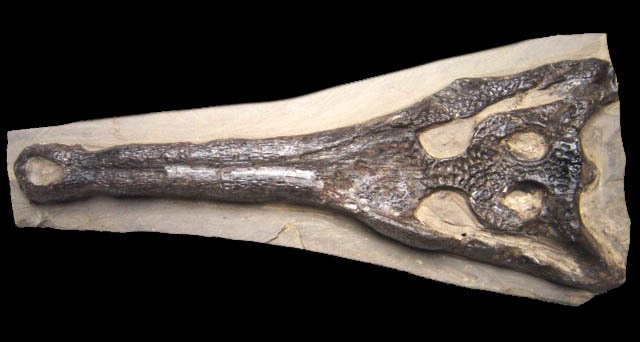 A fossil dromaeosaur dinosaur claw is worth much more than a fossil crocodile claw despite both looking very similar and both being authentic fossils. Regarding FOSSILS, at the time of this article, we know of no certified fossil authentication services, no respected dealer guilds to support, and no books on the market explaining how to detect fake or restored fossils. The commercial fossil market requires the practice of CAVEAT EMPTOR, or "let the buyer beware". As for ARTIFACTS, the good news is that there ARE numerous authenticators of stone objects and some excellent books for sale that show how to identify stone tools and stone artifacts. For metal artifacts, we know of no company that provides authentication. Regardless of what you have, you could always hire a CERTIFIED APPRAISER to analyze your purchase or collection but they will not personally have any knowledge needed and will require outside experts to help them. This service is costly so it rarely is a viable option to the average collector but, it is an important option to consider if you have any doubts in your acquisitions. It goes without saying that certain selling venues SHOULD be highly suspect of forgeries. EBay for instance, is one venue that in the United States, persists in being DOMINATED by fakes and fraud in ALL genres of items sold there. That's not to say there are not highly ethical sellers and good items on EBay but the barrier to entry in the market is very low for EBay so the good and bad are both, quick to set up shop. Anyone can set up an online store in minutes on EBay and be selling. Because of this, fraudulent or ignorant sellers can gain entry to a world market with ease. The "feedback" system EBay uses is and always has been a JOKE and has no honest reflection of what is really going on. Furthermore, buyers mostly give feedback if the item arrives well-packed and timely. It is more of a "warm and fuzzy" experience feedback system rather than a buyer "has had their purchases examined by an expert and item is authentic and as described" feedback system. Conventional auctions and other online auctions also should be approached with extreme caution. We ROUTINELY see some of the most convincing forgeries, or completely misidentified items, being sold in major and minor auction houses that are physically running an auction and also making it available online. In all cases, the auctioneer does not have the time and knowledge to vet every single piece going up for auction. As a bidder, you are also usually bound by an agreement (remember that fine print?) that states that all sales are final and the seller or auction house makes no express claim of authenticity or identification. Local shows can also be risky if you do not know the seller and have no access to them if there are any problems after the show is over and they are gone. In these cases, the sellers are usually out of state and might have to be pursued by costly legal counsel in their state. Again, these shows are very easy to set up in and sell with no prior experience or investment other than the booth or table space for that week-end. Even if an out of town show seller were to give you a written guarantee (rare! ), the transaction would be costly to litigate should you find you have been duped. Does that mean that fancy galleries and showrooms under the big city lights are all honest? Of course not. There are some NOTORIOUS established galleries in major cities that are completely bent on ripping people off. One in particular is in New York City that advertises in major magazines with huge 4-color advertisements and sends out large catalogs. This multi-generation company has been a massive artifact forgery clearinghouse for DECADES. The impact and damage they have done to the artifact market is so extensive due to their operation running for so long, that thousands of their fakes have passed through unfortunate collector hands and their material routinely surfaces in auctions all over the world. This company is so notorious that informed dealers actually use the catalogs put out by this gallery as a pictorial guide to identify what fakes could look like!!! In other words, if you see an artifact that looks like one in their catalog, it is most probably a forgery!!! There are also honest but uninformed galleries that are established in major cities and resorts, that sell very expensive pieces of all types. The potential pitfalls are VERY high with these galleries. The salespeople or gallery owners are merely brokers and have no definitive knowledge of each specimen's authenticity or what was done to it. They purchased it "finished" or have it on consignment from a collection, and despite the guarantee they will give you with honest intentions, there is no true experience or knowledge they have to back up that piece of paper. The following topic pages discuss some of the different cases of fraud. Keep in mind that this is not an all-inclusive section but is meant to highlight some of the fraudulent types of fossil forgery that can be encountered anywhere. Also, as time goes on, the trends in faking and fabricating fossils may change. It is a game of cat and mouse. As the market becomes increasingly aware of a certain type of technique, the fossil fakers evolve and change their methods, sometimes moving into classes of fossils that were previously not plagued with this problem.